The numbers of styles of Caesarstone worktop available make them a great choice not just for many kitchens – but for specific places in the kitchens. For example, if your worktop is hugging the walls around the kitchen, you may want something subtle. However, you may have an island in the kitchen or a standalone bar, on top of which your Caesarstone worktop can draw the eye and focus into this centrepiece. Silestone worktops are another great brand of multi purpose and multi application surface. Worktops from this brand are made of quartz, a durable stone. Thanks to other constituents of the Silestone worktop, the surface is in part man made. The quartz that is found in nature is one of the hardest materials. Diamonds, topaz and sapphire are the only naturally occurring materials known to be harder. This makes Silestone worktops resistant to scratches and every day wear and tear. They are extremely dense and they don’t have pores through which liquids such as water and milk could seep. This makes them ideal as kitchen worktops because bacteria will not collect on the surface or beneath it. Indeed, they are likely to be less porous than natural stone such as the granite worktops and the marble countertops found in many homes. 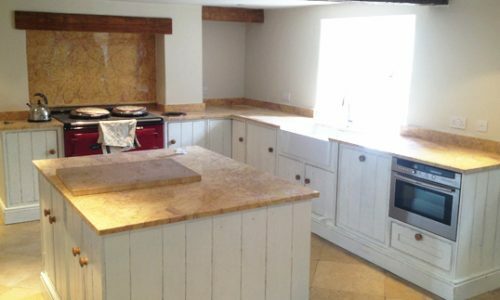 Many worktops are made from engineered stone of various kinds. Engineered stone often contains quartz. It is also known as “compound stone” or “agglomerate stone.” This kind of stone is a composite of both stone and resin – it often has an entirely natural look, while often also having greater strength and qualities conducive to its environment than a slab of pure stone thanks to its manmade elements. For example, engineered stone is more stain resistant than pure granite. It is used in the manufacture of kitchen countertops. It may be made in slabs on a factory floor, and is cut and polished onsite. It may then be cut again to fit a particular space in a kitchen or a utility room. The flexibility of somewhat artificial surfaces of this kind – such as Caesarstone worktops and Silestone worktops – may be seen as a disadvantage or a benefit when compared to hardier surfaces like the standard pure granite worktop. However, this is far from the case: the engineered stone allows an element of “give” that a granite worktop will lack while remaining a solid slab. 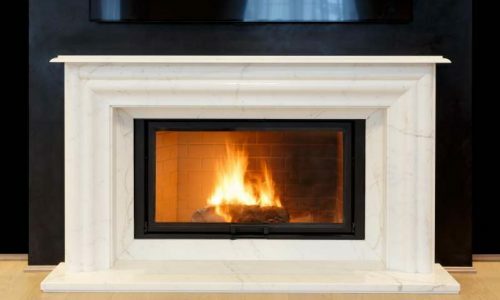 The manufacturers of Caesarstone worktops and Silestone worktops have pioneered many techniques when it comes to manufacturing engineered stone, cutting stone, and installing it. Resins, fillers and additives of various kinds can be mixed into the stone to both strengthen it and to enhance its appearance. Materials that help to absorb ultra violet light are often necessary in the engineered stone worktops. Certain resins may be weakened by ultra violet light, while the Caesarstone worktops or Silestone worktops may be discoloured over the years due to exposure to too much sunlight. A reduction in strength or the detrimental effects on the appearance of your stone work are not good things: Hence the requirement for ultra violet absorbers. You won’t find protective additives such as these in the natural stone of a granite worktop.